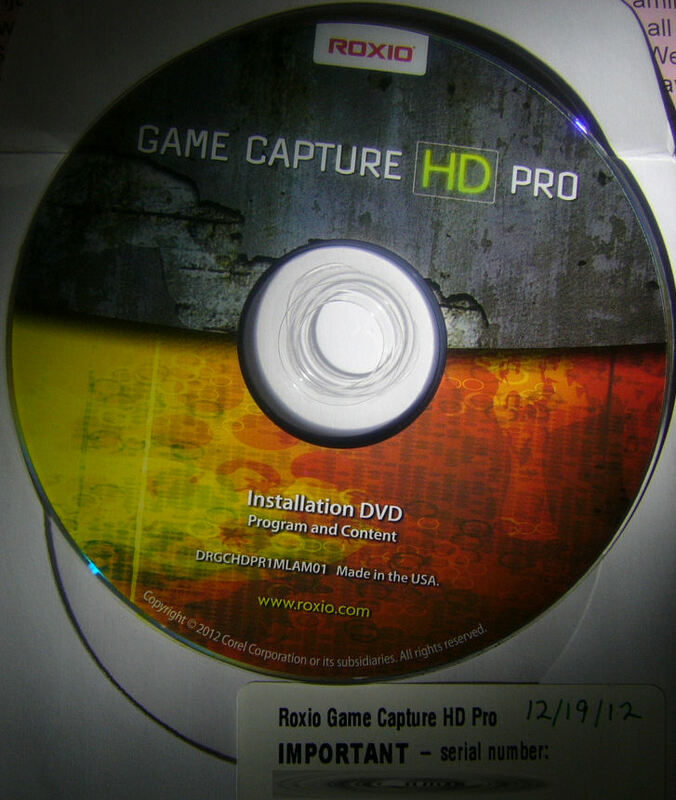 I purchased a Roxio Game CP HD Pro from a pawnshop. All that came with it was a device, and a cable. Just wondering what I must do from here. Thanks. Take it back to the pawn shop...there is NO download. So there's essentially no way to use a second hand device? Okay I was able to get a friend to give me their CD since they never used it. 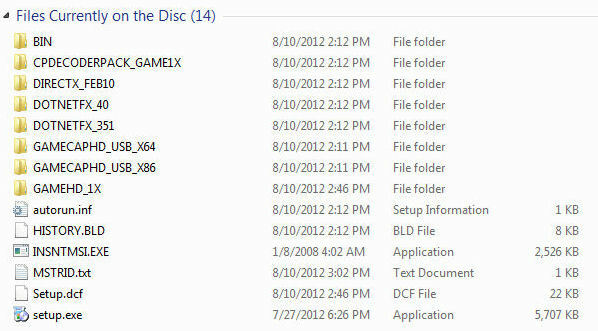 I have the program installed; however, it's not detecting my Roxio GameCap HD Pro. Any idea on how I may fix that? Thanks! 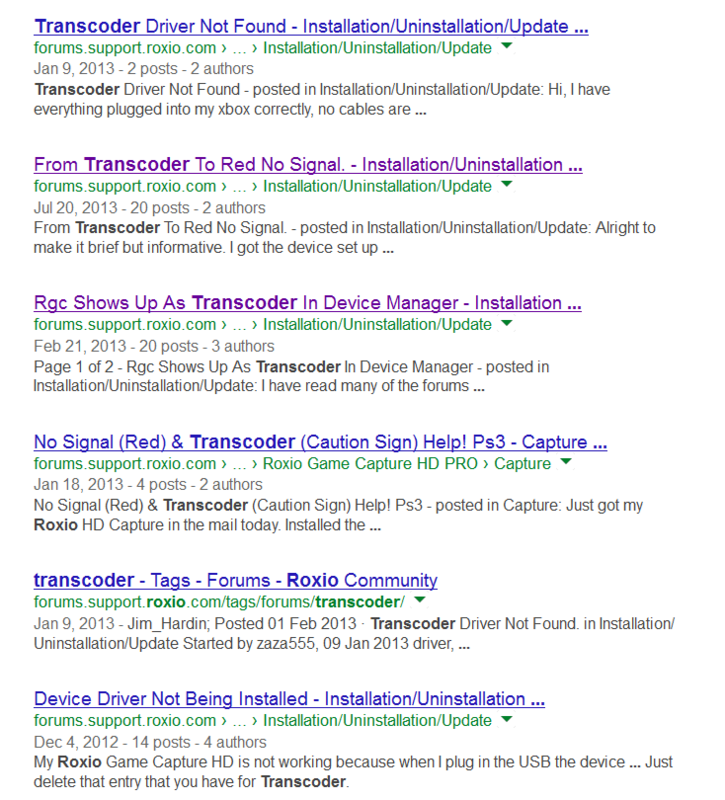 Type "Transcoder" in the search box above right. You will get some hits. Can't seem to get anything to work. Tried the steps and it seems to keep coming up as transcoder. There's one other thing that has a exclamation mark though... not sure if it's related. It's called USB-IF xHCI USB Host Controller and it has a exclamation mark like TRANSCODER does. So trust me when I say this guys, I have searched this forum quite a bit to find a solution. If I missed the one I'm looking for, I apologize. I've tried deleting the drive, turning off the computer, turning it back on and doing the repair and plugging the device back in. Step by step. I haven't even been able to get to the point where I have like a 'Roxio HD Cap' show up under my Sound, video and game controllers section like I see a lot of people have. All I have is TRANSCODER with an exclamation logo on it. The only other thing that looks suspicious is this thing under Intel WiUSB called 'USB-IF xHCI USB Host Controller' and it has a exclamation logo on it as well, I have no idea if it's related or not. I've not gotten anything to show up in the Roxio program, it hasn't acknowledged the device at all. Try going into the device manager, with the game capture device installed. Unplug it, and refresh the list of devices. Plug it back in, refresh the list. Now delete the items that are associated with the game capture device. Unplug the device, set it aside, and reboot. Now uninstall and reinstall the Game Capture software. Now plug in the device. See what it shows up as. Quit posting this all over the forums! 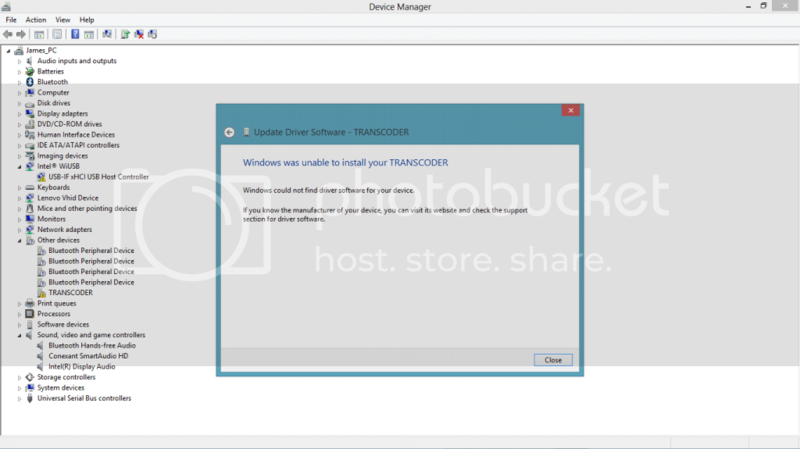 Windows is not going to install the correct driver for the software, because Microsoft doesn't have it. I'll probably try going through your steps again, but anything else you can think of if I get the same result again? How about responding to Post #15. Okay. The same files and folders are appearing. Is there something I'm supposed to do or run in one of the folders? Never mind, I figured it out myself with absolutely no thanks to anybody on this board You know, I really appreciate going out and spending legitimate money on a Roxio product and then smugly being questioned like a thief. Thanks guys, great support. Would you mind sharing with us what you did to resolve your problem?. This will hopefully help other users that encounter the same problem as you did. Sorry you got a little pissed with some answers on here....but lets move on.